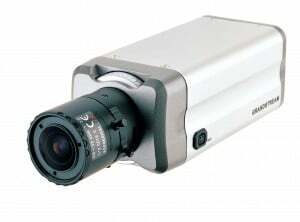 GXV3601_HD is a next generation High Definition (720P) IP camera of extraordinary power and innovation. It features cutting edge H.264 real-time video compression (720P resolution) with excellent image clarity, industry leading SIP/VoIP for full duplex 2-way audio and video streaming, integrated PoE, embedded analytics, large pre-/post-event recording buffer, and advanced security protection. It supports the most comprehensive peripheral interfaces for alarm control, local storage expansion, and wireless network connection, offering sophisticated and best-in-class control flexibility and scalability. The GXV3601_HD can be managed with GSurf, Grandstream’s FREE video management software.